An India singer, entrepreneur, and songwriter, 24-year-old Ananya Birla is one of the youth icons of the nation. This rising star is also the daughter of industrial giant Kumar Mangalam Birla. A maestro Santoor player from a very young age, this lady is also an Economics and Management graduate from the University of Oxford. This young inspiration also helms an initiative called MPower. This campaign aims at eradicating the stigma attached to the issues of mental health across the nation. During her college days, she started writing her own songs. Also, she used to perform in local pubs and bars. Her track ‘I Don’t Want to Love’ actually gave her the big break as it caught fancy of Universal Music India who eventually signed her. Her debut album is ‘Livin’ the Life’. Here’s the beautiful track for you. Coming back to her campaign on spreading awareness about mental health issues to drive out the stigma, she is all set to host a discussion panel at an International summit. She will have a discussion with the ambassador for UK’s Mental Health Foundation Roxie Nafousi. Also, ambassador for the South African Depression and Anxiety Group, Cassie Snelgar, will be a part of the event. Further, Ananya Birla will use the platform to shed light on her own campaign MPower. This project is successfully empowering individuals with mental illness across India. 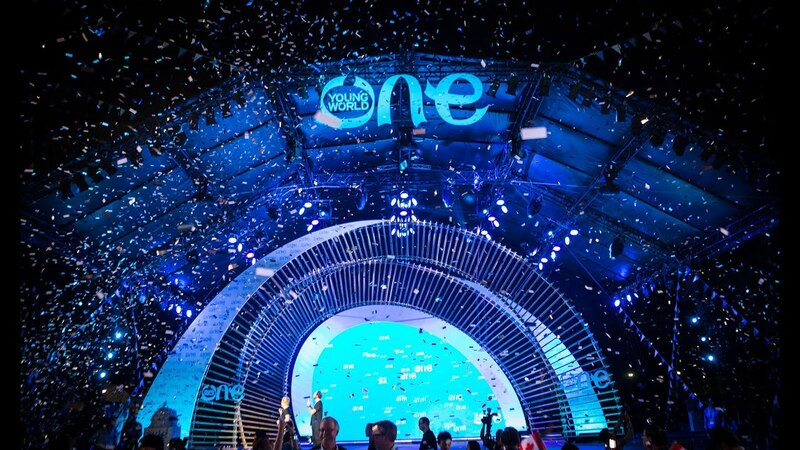 Called the One Young World Summit, this event will also be attended by celebrities like Akon, Naomi Campbell, and Amal Clooney. Ananya Birla is certainly the perfect example of beauty meeting brains. Moreover, her campaign to deal with the stereotypes associated with mental illness is praiseworthy. What do you think about this young leader? Nita Ambani’s “Thumke” On Her Daughter Isha’s Engagement Party Will Make You Go Wow! Just Like Other Netizens. Anand Mahindra’s Heartwarming Message For Sonali Bendre Is Full Of Inspiration. Twitterati Agree Too! Neeraj Pandey To Bring In ‘Spin Offs’ In Bollywood With Naam Shabana! Shah Rukh Khan’s Banter With Twitter CEO Is Too Funny To Miss! Mouni Roy Refuses To Even Recognize Former Co-Star And Ex-Boyfriend Mohit Raina. Here’s Why!